Commander in the Iranian Revolutionary Guards says US bases in Afghanistan, the UAE and Qatar are within range of Iranian missiles. 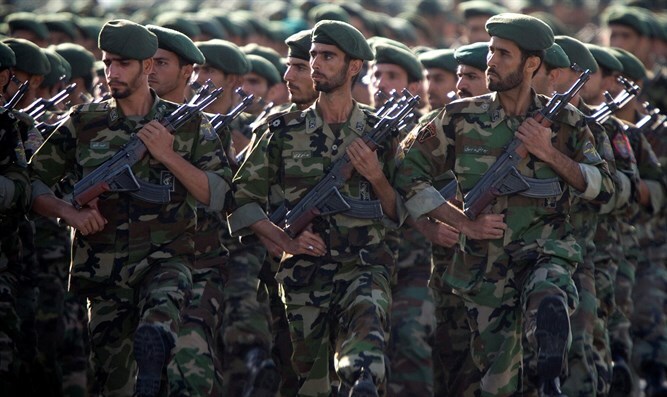 A commander in the Iranian Revolutionary Guards threatened on Wednesday that US bases in Afghanistan, the UAE and Qatar, and US aircraft carriers in the Gulf were within range of Iranian missiles, Reuters reports. "They are within our reach and we can hit them if they (Americans) make a move," Brigadier General Amir Ali Hajizadeh, head of the Iranian Revolutionary Guards' airspace division, was quoted as saying. "Our land-to-sea missiles have a range of 700 km (450 miles) ... and the US aircraft carriers are our targets," he warned. The comments come amid tensions between the US and Iran, after President Donald Trump withdrew from the 2015 nuclear deal between Iran and world powers and reimposed sanctions on the Islamic Republic. US National Security Adviser John Bolton has reiterated that more sanctions on Iran could be on the way. It is difficult to determine whether Hajizadeh’s claims are true, but Iran often boasts of its military accomplishments. Last year, Hazijadeh claimed that Iran is in possession of what he described as the “father of all bombs” - a domestically-made 10-ton bomb with a high destructive power. Iran has threatened more than once to close the Strait of Hormuz, with the United States warning Iran in response that any attempt to close the strait would be viewed as a "red line" -- grounds for US military action. In the last few years there have been several close encounters between Iranian and American vessels in the area.